In my first two years as a wedding photographer in Los Angeles, since the big move from London, I have already started to form my own list of the best wedding venues in Southern California. I would consider the Doll Pond Wedding Garden & Vineyard in the Santa Ynez Valley, as being on that list. The images above are selected from Erika and Walker’s wedding at Doll Pond and give you a good idea of what this venue offers. Doll Pond Wedding Garden & Vineyard is a beautiful venue with a number of options to hold your event, it also provides so many fantastic options for photography and ensuring we capture those stunning and unique portraits. Wedding Photography at Elysian is such a joy. 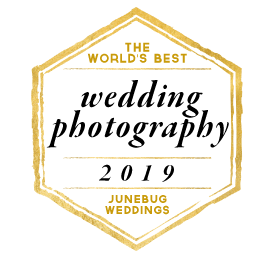 If you decide to work with me as your Doll Pond Wedding Garden & Vineyard Wedding Photographer you will be working with an award winning, experienced photographer who knows the venue and how to get the best out of it. If you’ve already reviewed my website, including the ‘about me’ and ‘philosophy’ pages, then you’ll know the type of photographer I am. I want to be allowed in to your day to tell the story as it unfolds. I don’t contract based on hours as I want to be part of the entire day, I don’t want to miss a thing. Moments and human emotions are what drive my story-telling during a wedding day. I make sure your story is unique to you, your portraits will not be cheesy or obvious and the moments I capture will stay with you forever.